'What for breakfast' is the usual, yet difficult question that I tackle on a daily basis. I like to break the monotony of the standard staples, even if the difference is just in the way it is prepared. So, when I found this recipe of Gojju Avalakki here, I immediately made a note of it and tried it. And, it was delicious! 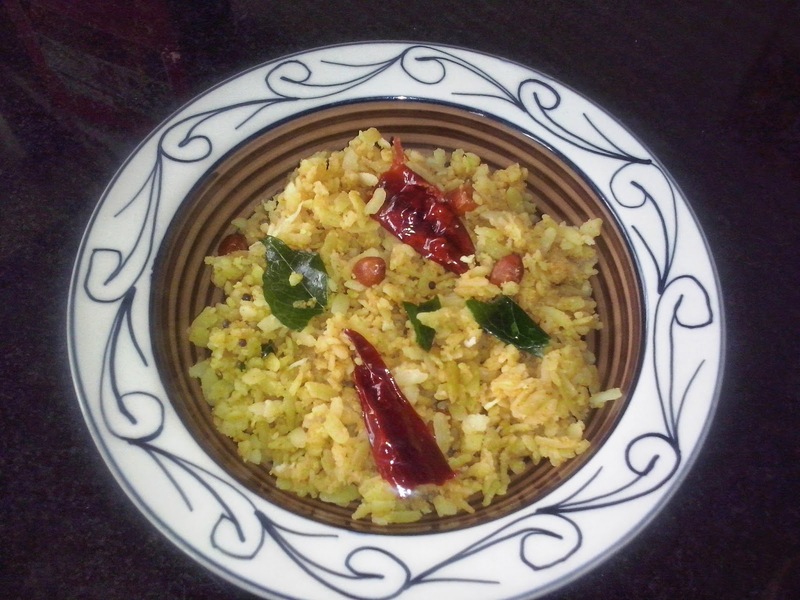 So, I now have the gojju avalakki added to my list of poha versions. Thanks, TGND! So, how do you like your poha? Do you have your interesting versions to add here? I'd love to know. 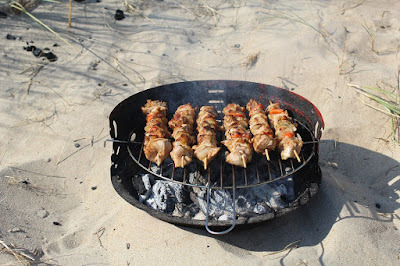 *Visit the links mentioned to get the recipes. I've added the ones that specify the method I follow. Yet to try out poha :) Have tried it once and was delicious! Do try and let me know, Aathira! I WILL EAT POHA ANY WAY MADE!! I love poha in various forms too. :) Gojju Avalakki was a recent addition to our kitchen, and we all loved it. Am glad you tried it out and liked it as well. Do try out Aloo Poha the Gujarati way. Am not sure if you'll like it - it is laden with sweet and sour - but you can try it out once, at least. Also, if you want to, you can go easy on the sweet and sour, or skip the sweet altogether. Don't forget to let me know how it turns out for you! :) I'd love to know. BTW, I'd heard of Kanda Poha, but never tried it. Have bookmarked the recipe you have linked to here. Will try it out soon.